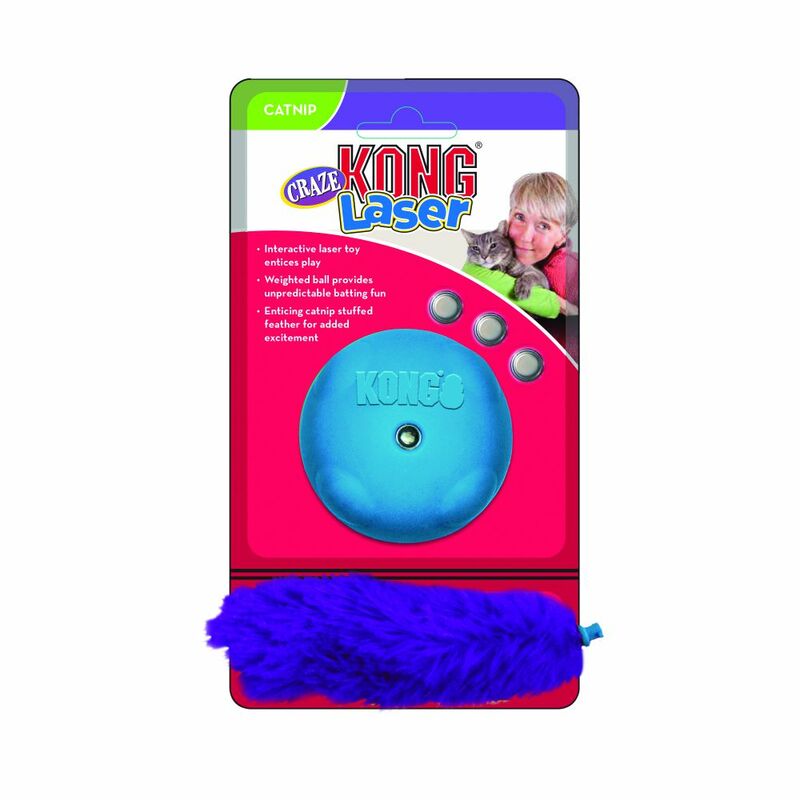 KONG Laser Craze The KONG Laser Craze’s laser tempts cats to chase and pounce while the weighted ball entices batting and swiping forlong-lasting play. 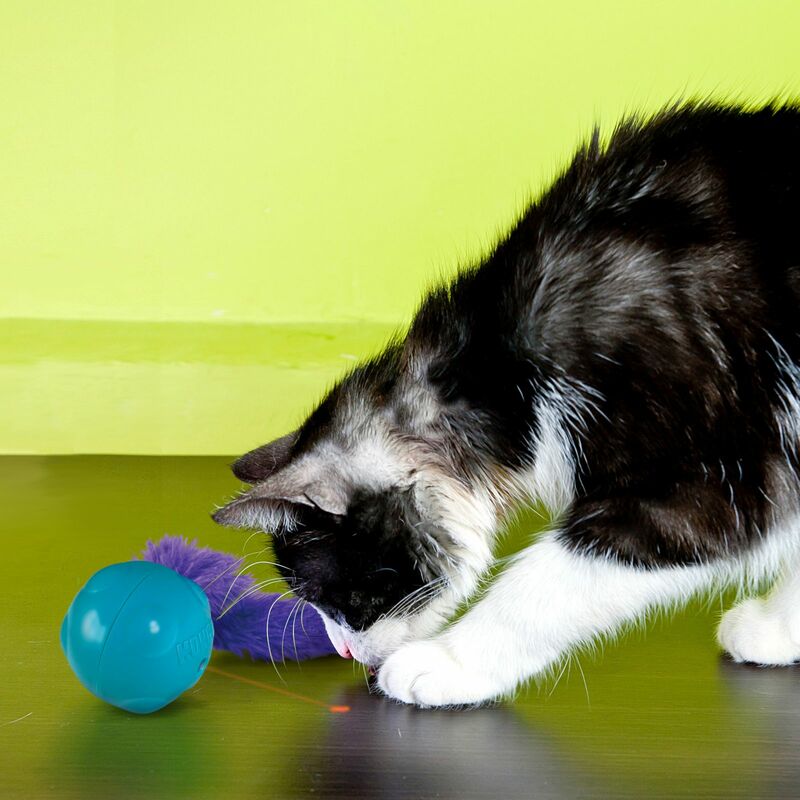 The feather tail contains KONG Premium North American Catnip and adds to the excitement. Free batteries included.